Social trading allows traders to share a copy other traders’ limit orders and trades. Trades and limit orders executed by traders that enabled social trading are published on the new social trading wall. In short, when you place a trade on a binary options site that allows social trading, and you have the feature enabled, your trade will immediately be shared with the public. Anyone will be able to view your trading activities in real time, and if they wish, they can mimic you by copying your trade. Some sites may even allow traders to do this automatically so they can copy trades without delay. You also have the option of copying trades by looking at the social trading wall. If you find a trader who makes consistent good trading decisions and wins often, you can take advantage of social trading to follow along and reap the profits right alongside them. Like anything, social trading has its own set of advantages and disadvantages. Integrated social trading features on trading platforms help keep traders interacting with the community, including those who might be tempted to isolate themselves. You can learn from watching others. Watching traders who trade consistently and intelligently can help you learn how to do the same. Following trades made by losers can also help you out! You can learn what kinds of mistakes to avoid. If you discover a trader who does a great job, you may be able to take advantage of that trader’s skills and knowledge to boost your own profits. This is essentially a lot like subscribing to a signal service, which one could argue is itself a form of social trading. Social trading may tempt traders to be lazy. It is nice to think that all you have to do to be successful is piggyback on a more successful trader, but there are a number of reasons that is a bad idea. First, you have not taken the time to evaluate that trader’s system, and you have no idea why you are doing well, or why they are. Second, you may be caught completely off-guard when that trader suddenly starts losing. You may struggle to determine which traders are successful in the first place. After all, you may be able to see their trades, but you certainly do not have a thorough history of their trading activities, outcomes, and all the factors that may have played into their successes or failures. Sharing your own trades in real-time may not suit your disposition. Some traders find this nerve-wracking. Trading signals. If you subscribe to a trading signal service, you are doing more or less the same thing you would be by checking a social trading wall. Trading signals may be free or may come with a fee. Many brokers offer signals to traders with larger accounts. Very good signal services with great track records can help you to spot trade opportunities that you might miss otherwise. Auto-trading. Automatic trading systems are a form of social trading as well, because they are basically trading signal systems that automatically generate a trade entry and exit. Out of all the forms of social trading, this one carries the most disadvantage. Automatic trading is a pretty good way to lose money over time, since it cuts you off from your own trading activities. When you place your account in someone else’s hands, you are casting your fate to the winds! Proceed with caution if you use auto-trading at all. Group trading on forums or chat communities. Binary options forums offer you another social outlet for trading. On forums, you can follow trades posted by other traders, and post your own trades. You might copy trades this way, or you might simply use the forum to learn and develop your own methods. 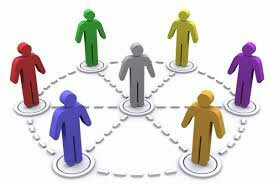 There are also trading communities and groups that form on Skype and other services to socially trade. Some partnerships are formalized; others are not. Click here and here for formalized partnerships. Forum trading is probably the most beneficial form of social trading. Why? It removes the “auto” in auto-trading that makes automatic trading so dangerous, and it gets you more involved in your trading than copy trading through a social trading wall. You have to do more work to keep up with a forum, and you therefore are more involved with your decisions. It is not a matter of laziness to keep up with a great trader and copy trades; it involves work, which then gets your brain involved. On top of that, forums and chat communities give you a chance to actually talk to the people you are trading with! You can communicate, ask questions, and receive answers that help you to improve your own trading. If someone else is following your trading, you can help them. In conclusion, I think that social trading features like sharing walls on broker sites are great, but what is even better is to reach out and start talking to your fellow traders. Open up dialogue, and see what happens. You will probably see your trading improve by leaps and bounds!